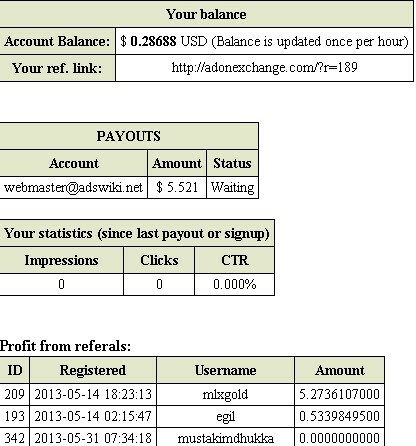 AdonExchange doesn't pay. Be careful! | AdsWiki - Ad Network Listing, Reviews, Payment Proof & Advertising News. My payout has been waiting a long time. They are still haven’t give pay. I think they are a scam. Please carefully review every new ad network in adswiki.net when you want to give a try. And give your experience for every network to help everyone make a choice.